The National Restaurant Association’s survey of the top 10 food trends in 2015 found that nearly all of them pertained — directly or nearly so — to local and sustainable food. 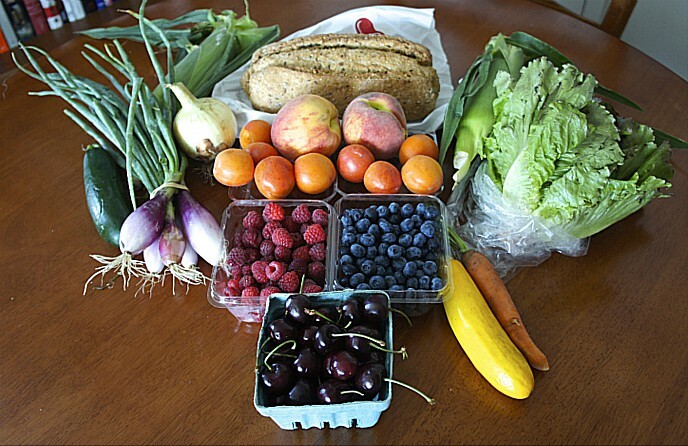 There is a hitch, though: retail outlets, restaurants, schools, and other wholesale buyers still have a difficult time finding enough local food to meet the fast-rising consumer demand. FamilyFarmed (the publisher of this website) is addressing that issue through its Wholesale Success program, which works to increase the supply of Good Food by helping farmers build their skills so they can scale up and expand their sales to wholesale markets. If you are one of those farmers or otherwise have an interest in building local markets for local and sustainable food, then FamilyFarmed’s Wholesale Success Workshops may be for you. To view the workshops currently scheduled for this year, please click here. FamilyFarmed, Atina Diffley (our experienced farmer-trainer), and local partner organizations — with the assistance of more than $1 million in funding from the U.S. Department of Agriculture (USDA) — have trained thousands of growers over the past six years on how to better meet wholesale buyers’ expectations for product quality, consistency, and food safety. FamilyFarmed’s Wholesale Success Farmer Training is a comprehensive program designed to help small and mid-acreage fruit and vegetable farmers with one of the biggest challenges they face: growing their businesses! This program gives farmers the resources and tools they need to make sure their produce is the highest quality; manage food safety, legal and other risks; and nurture relationships with customers that they need to be successful. 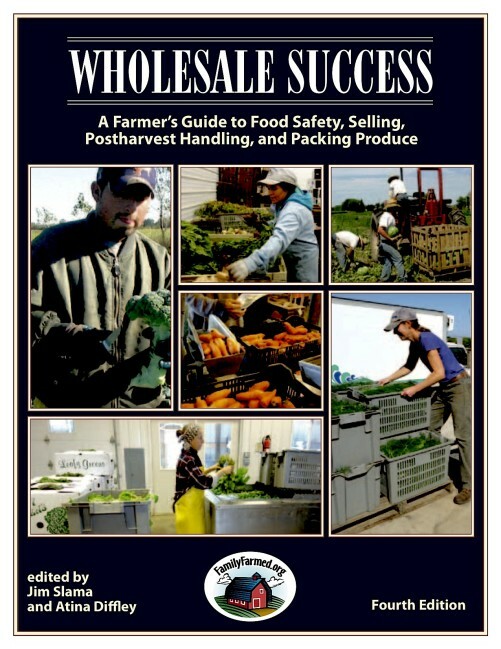 Wholesale Success: A Farmer’s Guide to Food Safety, Selling, Postharvest Handling, and Packing Produce is now in its 4th Edition. 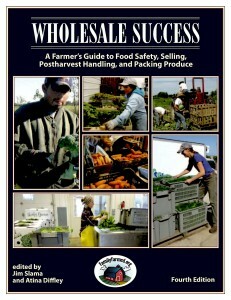 It is the definitive guide for produce farmers selling into wholesale markets. This 316-page book builds the capacity of farmers to meet the burgeoning demand for locally and regionally grown fruits and vegetables. Wholesale Success includes comprehensive sections on Building Relationships with Buyers, On-Farm Food Safety, Cooling and Curing Produce, Packing Shed Design, Proper Post-Harvest Handling, and Calculating Return on Investment. It also includes more than 100 crop profiles that give specific harvesting, cooling, storage, and packing information on most of the fruits and vegetables grown in the United States. It is the basis for our Wholesale Success farmer workshops in which we have trained more than 7,500 farmers in 31 states. The importance of this program will be underscored by the imminent release of new regulations under the Food Safety Modernization Act (FSMA), which are currently in the rulemaking stage. This is the first major overhaul of our nation’s food safety practices in decades. In response, FamilyFarmed and a broad coalition of food safety leaders developed the On-Farm Food Safety Project, a comprehensive national program that offers farmers technical assistance to develop risk-based food safety programs for their operations. Our On-Farm Food Safety website (also available in Spanish) includes an easy-to-use online tool that generates customized on-farm food safety plans based on user input. The tool is based on Harmonized Good Agricultural Practices (GAP) standards developed by United Fresh and produce industry partners. This tool has been specifically designed for small and mid-scale produce growers to provide them with a full set of recordkeeping tools to document their food safety programs and to provide training to their employees. Through FamilyFarmed’s Wholesale Success workshops, farmers are introduced to best practices in on-farm food safety as well as our online on-farm food safety plan tool. This year’s workshops will include a new component to help farmers with legal risk management. FamilyFarmed has contracted with Rachel Armstrong of Farm Commons to help farmers identify legal considerations of selling to wholesale markets and basic sales contracts. Funding for Wholesale Success over the years has come from on-the-ground partners and state specialty crop block grants among others, with the bulk of funding coming from USDA Risk Management grants. USDA continues that support in 2015 as we work with four local partners in Indiana, Michigan, and Ohio. 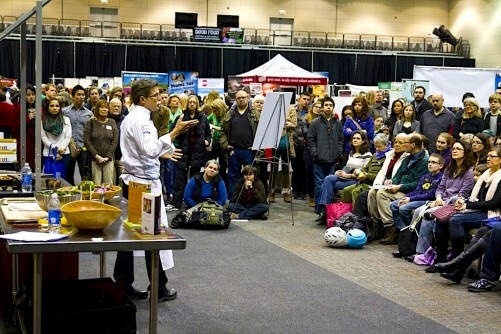 USDA funded workshops are being planned with Hoosier Organic Marketing & Education (HOME) in Indianapolis at the Indiana Horticultural Congress Jan. 22, with Our Harvest Cooperative in Cincinnati Jan. 24, with Heartland Communities in Ft. Wayne, Indiana Feb. 12, and the Marquette Food Coop in Marquette, Michigan March 14. Workshop attendees will also be introduced to the new Whole-Farm Revenue Protection Insurance being offered through the Federal Crop Insurance Program. Whole-Farm Revenue Protection (WFRP) provides a risk management safety net for all commodities on the farm under one insurance policy and is built on previous policies that have worked well for farmers growing specialty crops. This insurance plan is tailored for any farm with up to $8.5 million in insured revenue, including farms with specialty or organic commodities (both crops and livestock), or those marketing to local, regional, farm-identity preserved, specialty, or direct markets. Whole Farm Revenue Program is a really good deal. No other business has the opportunity to guarantee revenue, and add to that up to 80 percent premium subsidy. That means farmers can write a worst-case scenario budget that supports their farm and be assured of meeting it. One of the beauties of this program is it covers diverse farmers. It insures mixed total revenue streams, not single crops. Produce and meat products for example can be covered by the same policy. You can find the WFRP cost estimator here. FamilyFarmed has upcoming trainings in 12 states and provides each attendee with a free copy of the Wholesale Success: A Farmer’s Guide to Food Safety, Postharvest Handling, Packing and Selling Produce manual. See the full schedule and learn more about scheduling a Wholesale Success training workshop for your network of farmers here. This entry was posted in Farm businesses, Farmer training, Food Entrepreneurs, Food safety, Good Food business development, Good Food movement, Local Food, Small Farmers, Sustainable food systems, Wholesale Success. Bookmark the permalink.